Chromcor strings are made from a single filament, high tensile steel core and are wound with copper or silver-plated copper wire. 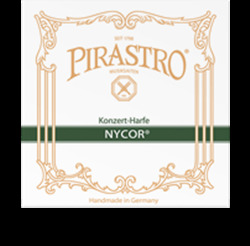 These strings are designed for Tyrolean and Irish harp but can be used for any other harp of the same size. C-strings are colored in red. F-string is colored in blue-grey. 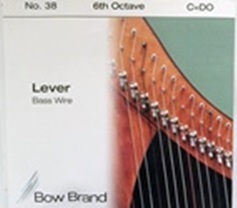 Set : Chromcor sets are available for 5th and 6th octave. 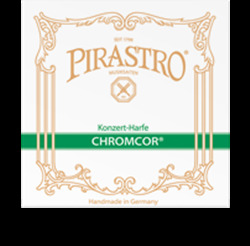 Gauges : Chromcor strings are available in medium. Features : The sheep gut of the Chorda strings is hand-manufactured in the traditional way. Set : The sets 1st to 4th octave are available in medium gauge. 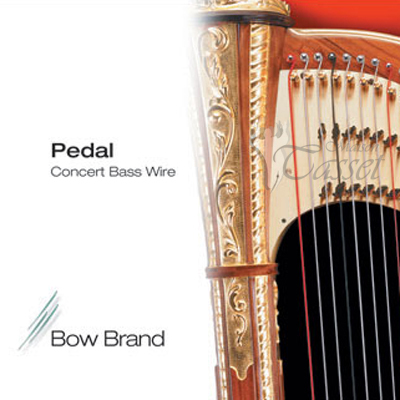 Tailpiece Options : Chorda strings have neither a ball-end nor a knot.